Create and manage your checklists to help you stay organized. "Alexa, open my pet guide." Help the pet sitter care for your favorite animal. Schedule and track weekly chores for your entire household. 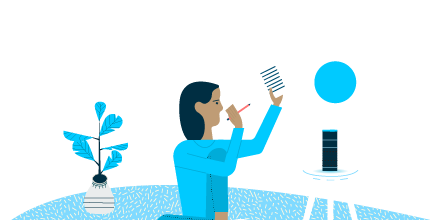 Now you can publish your skill to the Alexa Skills Store for anyone to find, use, and review. Watch Video. Customize Alexa's response to your questions. See how easy it is to create a skill with blueprints. 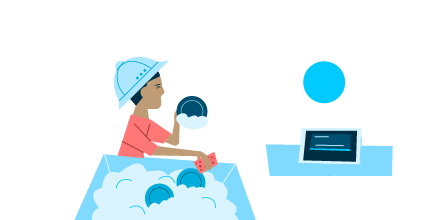 Figure out whose turn it is to do something by having Alexa choose for you. Give Alexa an important date, and she'll count down the days to your event. Create daily or weekly content for your customers. Provide answers to common workplace questions. Provide new team members with a guide to your organization. Alexa always has your back with these supportive and funny responses. Roast your friends and family with lighthearted burns. Create an adventure story where your child is the hero. Welcome your guests with a guide to your home and neighborhood. Challenge your friends with open-ended questions. Curate a list of your favorite motivational quotes. Listen and recall with this listening quiz skill. Help the sitter find things, remember steps, and get important info. Study, test yourself, and master any subject by voice. Flatter your favorites with a list of custom compliments. Create an interactive story with a far-out theme. Play to see who knows the birthday girl or boy best. Play to find out how well the bride's friends know her. Create an interactive story with a timeless lesson. Create an interactive prince and princess-themed tale. Surprise mom with a personalized story narrated by Alexa. Create an interactive holiday story with your child as the main character. Create an interactive spooky story with your child as the main character. Celebrate mom with a list of customized compliments. Surprise dad with a personalized story narrated by Alexa. Celebrate dad with a list of customized compliments. Create a list of your favorite dad jokes for when you need a laugh. Post lectures or speaker series from your University for anyone to listen. Create a Valentine's greeting card with personalized content. Let your followers hear the latest news and updates from your WordPress blog. Create and access a personal list of facts on any topic. Play together and brush up on your family history. Let your community hear the latest talks from your spiritual center. Create your ideal workout routines and schedule them throughout the week. Ask Alexa any yes or no question and hear a randomly selected response. Ask Alexa for your fortune to get a glimpse into the future. Write and send a letter to Santa. Then check back every day to track its progress to the North Pole. Celebrate special occasions with custom cards with personalized images and audio messages. Create a birthday card with custom images and personalized messages. Let someone know you're thinking of them with custom images and personalized audio messages. Create a Hallmark holiday greeting card with custom images and personalized messages. Help your roommates by providing them with all the important information they should know.  You can now publish your skill to the Alexa Skills Store for anyone to use.